What symptoms, if experienced by someone with Crohn's disease, should result in an immediate trip to the emergency room? 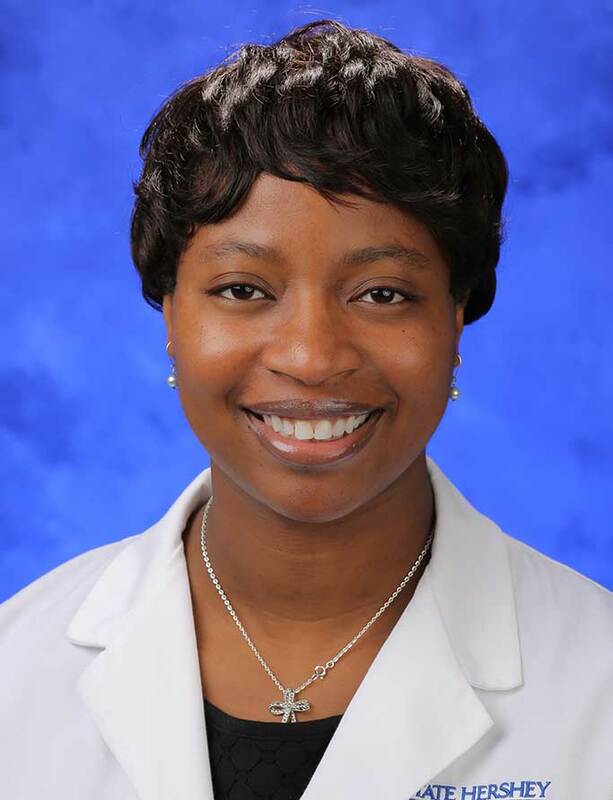 Tolulope O. Falaiye, MD is a pediatric gastroenterologist Hershey/Penn State IBD Center. Severe anemia (low blood count): If a person loses a lot of blood, they may have symptoms such as dizziness, headaches, pounding heart rate or fainting. If you pass out or feel like you may pass out, make sure your doctor knows and you should call 911 or go to a local emergency department. Kidney stones: If you see blood in your urine, you should let your doctor know. When kidney stones pass, they can be very painful and may require a trip to the emergency department. Dehydration: If you have a lot of diarrhea and/or vomiting, you can lose a lot of fluid. If you don’t take in enough fluid to compensate, you can become dehydrated. If you have been vomiting and/or having lots of diarrhea, and can’t keep any fluid in for more than 8 hours or can’t produce urine for more than 8 hours when you are awake, you should go to a local emergency department. Bowel or intestinal obstruction: The swelling that occurs as part of inflammatory bowel disease can be severe enough to cause a blockage of the intestines from scaring (strictures) or swelling. If you have severe abdominal pain with vomiting of dark green or bright yellow, it could be due to a bowel obstruction. Bowel obstruction is a severe problem because it can result in a bowel perforation, or a hole tearing in the intestines. This can be deadly. If you throw up dark green or bright yellow and have severe pain with eating or drinking, stop eating and drinking and go to the local emergency department. Bacterial infection: If you are on an immune suppressant medicine such as mercaptopurine, Imuran, methotrexate, remicade, humira or any other biologic medicine and have chills, cold sweats, or high fevers, you should be seen by a doctor. If you have a central line or indwelling catheter and have chills, cold sweats or high fevers, you should go to the emergency department. Thank you to Dr. Falaiye for her time and expertise! This is great for quick reference, David, thank you. Vomiting it said Dark green or Bright yellow. Can be bright orange? I had suffered for twenty years with pains and D, I was told it was ibs so just struggled on and on and on. I went downhill over the last two years and what made me go to the hospital was, constant fever in which I couldn't even move, I would be at work hunched over and looking like a sick pigeon you see on the streets of London. I stopped having bowel movements and had cramps on the left abdomen, lower right and through to my back. My other half found me in the spare room in a terrible state and hauled my sorry arse down to the hospital at 2am. The rest is history and a different story. Any of the above would be a good reason but generally I think if you have crohns and your body is telling you something is not right then get yourself down to a and e. it's supposedly what they are there for. Keeping pushing them to get the answers you need! In all honesty I'm not sure if the color is terribly important compared to constant vomiting and not being able to hold anything down. If you can't even keep liquids down then please go to the hospital. I can hold food down and liquid but pain, was vomit bit early after dinner. You may have a narrowing/stricture Josephine so for now you can eat softer and easier to digest foods (a soft low residue diet) and increase your fluids to help keep things moving. I know I spoke to you on chat and that you mentioned possibly seeing someone tomorrow but definitely let your GI know about it as soon as possible so you can avoid an emergency situation of getting a full blockage. If in doubt get to the doctor! I have phoned IBD Nurse explain what be happening over weekend, she said she will speak my GI after his clinic lunchtime probably and phone me this afternoon. Last edited by Josephine; 01-27-2014 at 05:50 AM. What did the doctor say Josephine? How are you feeling? I did not get phone call back, so I am hopeful I will get one today. Still get some pain and still have trouble with fluids in take and still do low residue diet. Last edited by Josephine; 01-28-2014 at 09:50 AM. P.S I got feel might get call back until end of week because I put water and stool sample on Friday. The samples check for infection. Also I have apt for MRI this Saturday 1st of Feb for small bowel. Last edited by Josephine; 01-28-2014 at 10:36 AM. No infection found, my consultant is being Scarlet Pimpernel accord to IBD Nurse. So plan carry with diet and more waiting. Crohns is then. Last edited by Josephine; 01-29-2014 at 09:48 AM. I once went to emergency thinking it was bowel perforation or kidney stones.........turned out to be very bad internal wind! How embarrassing A few good farts and I was on my way home again. Doctor said it was better to be safe than sorry. But I bet all the nurses had a good laugh about it on their tea break! I was having a lot of stomach pain and horrible sharp gas pains throughout the digestive system. After sigmoidectomy and endoscopy (cancer removed large intestine in 2011), he put me on a gluten free diet.. as gluten can irritate the stomach/digestive system. That actually helped a lot. I cant eat roughage (fruit, veggies, lots of fiber) or dairy as well, but the GF seemed to help. Sometimes I can eat regular bread or pasta . My first symptom was the low iron concentration in my blood. I agree whole-heartedly. But 4 weeks ago I came to A and E with all of the above bar the bacterial infection and was turned away by a horrible doctor who just said awk sure it's just a bit of a Crohn's flare. Luckily I had a pre-assessment for a planned surgery a week later and they realised I wasn't fit to go home let alone have surgery. NHS need better training and awareness of the dangers of de-hydrated and mal-nutrition. I truelly believe if I had gone to A and E and said i'm an anorexic and I feel very faint they'd have admitted me straight away. So what is the difference?